Plastic wall plug with anti-rotation locks for installation safety. 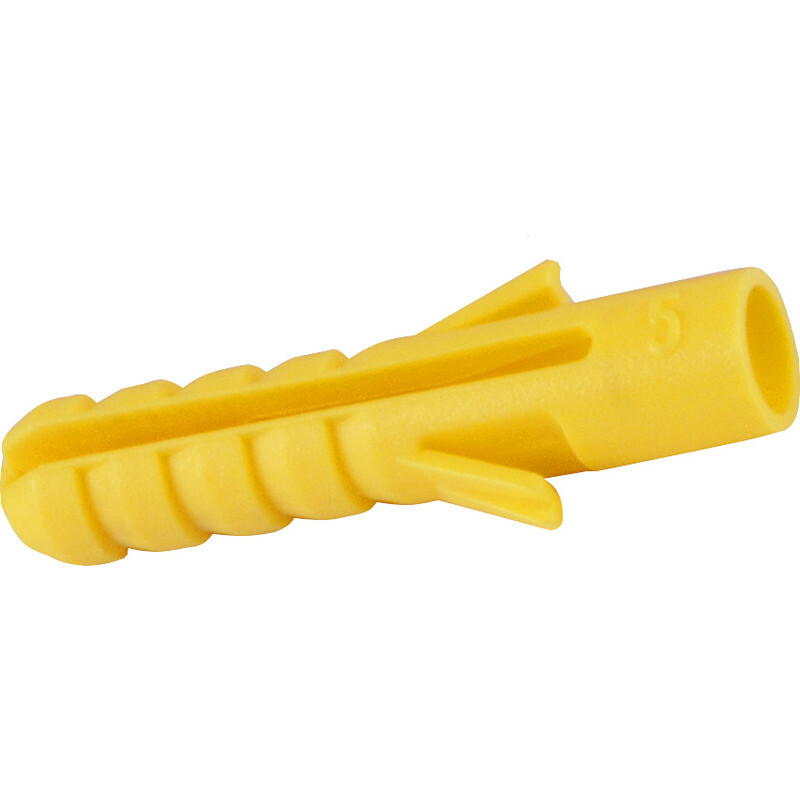 Fischer Plastic Contract Wall Plug Yellow 5mm (100 Pack) is rated 4.7 out of 5 by 26. Rated 5 out of 5 by Mick V from Plugs Their wall plugs. That’s all they do. Rated 5 out of 5 by Dave 1956 from Quality plugs These are a quality product that does the job with no problems. A bit more expensive than some but worth the extra, better to do it once and get it right. Rated 5 out of 5 by Que1 from Longer than l wanted Longer than I wanted but was able to use them. I couldn't see how long they were but they did the job. Rated 5 out of 5 by Mr D 49 from Wall plugs Quality wall plugs you can rely on.